This article provides a list of things to do in Bagan, Myanmar: how to visit the Bagan temples but also other places to visit in Bagan, Bagan hotels and what to do in Bagan on a budget. Read our travel tips from Mandalay and our suggested itinerary to visit Myanmar. From Yangon to Bagan by Train: one daily train departing Yangon at 4pm and arriving in Bagan by 9:30am. Expect delays. Fares range from USD $5 to $17 depending on seat – view the Man in Seat 61 for more details. From Yangon to Bagan by Bus: Buses depart Yangon around 6-7pm and arrive in Bagan between 3-5am. Expect to pay roughly 15,000 Kyats or USD $15. We had read about an exorbitant USD $20 fee per person to enter Bagan but we were never asked to pay for the fee nor to show proof of payment. Payment may be required if you come in through the airport. Amenities : Private bath with hot water, A/C, free WiFi in common areas, bicycles for rent for 3,000 Kyats (over USD $3) per day, laundry service. We enjoyed our stay here. The management was kind enough to let us make phone calls to inquire about the trek from Kalaw to Inle Lake. Horse cart: 21,000 Kyats for the day (USD $21) + 2,000 Kyats (tips) (USD$2). We arrived in Bagan at 4am with no hotel names. We were dropped off at the bus station with no hotels in sight. After the horde of transporters left, we were left on our own, in the darkness, with our backpacks. As we started walking a local man with his horse cart offered to take us to a cheap hotel at a good price. It was 4am, we went with it and kept his services for the day. Bicycles: You can usually rent it from your hotel, which is what we did for 3,000 Kyats (over USD $3) per day per bicycle. Motorized bicycles : can be rented from many shops around town for 6,000-8,000 Kyats per day (USD $6-8). May be preferable if you intend to cover larger distances and cheaper than going with the horse cart. Which temples to see ? Which are the best for sunset? For sunrise? Best view? 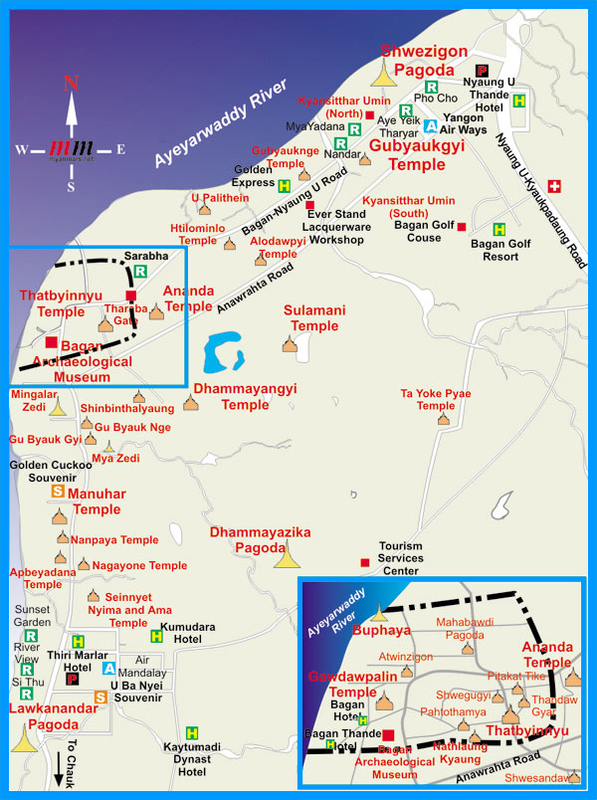 Here is a useful map of Bagan and its temples. We hired a horse cart on our first day for the temples that are located a bit further out in New Bagan and Nyaung U and on the second day, took our bicycle around Old Bagan on our own. It can get extremely hot in Bagan during the day so we ventured out by 5 :30am for sunrise, back for breakfast and went out again around 3pm until night time. For sunset, I recommend finding a secluded temple (most popular temples for sunrise and sunsets will be packed with travelers), bring a small picnic and enjoy the view. Mount Popa : Temple on top of a hill, gorgeous view and nice afternoon getaway from Bagan. Costs : 10,000 Kyats (USD $10) for a van to take us to Mt. Popa (with a stop at a local distillery shop) and 3,000 Kyats (USD $3) per person for public van on the way back. From the Bagan bus station we booked a ticket for 10,000 Kyats each to Kalaw. We departed at 6pm from Bagan bus station and got to Kalaw at 1 :30 am. It was the latest departing bus, so plan ahead for a smooth arrival in Kalaw in the middle of the night or leave earlier in the day if you don’t mind spending it on the road. What else did you do in Bagan? How long did you stay in Bagan? Share you travel stories with us ! 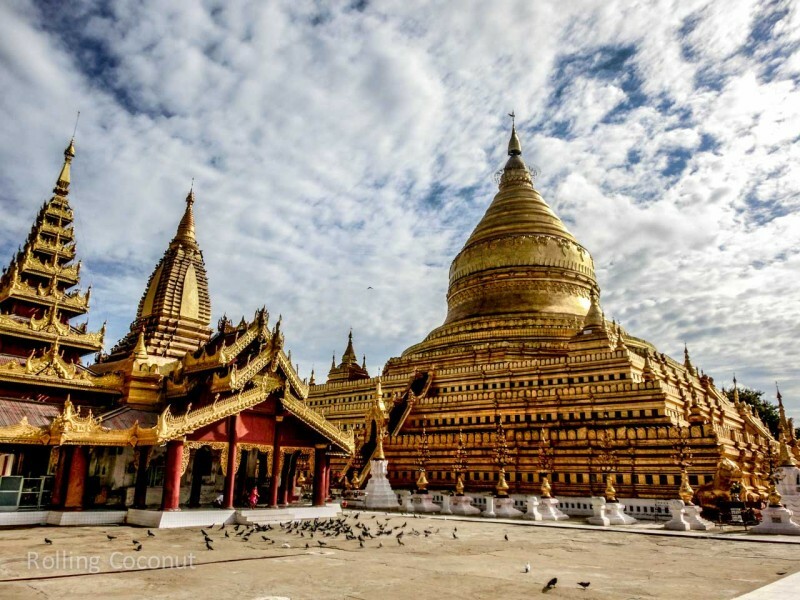 This entry was posted in Myanmar, Travel Tips, Travels and tagged Bagan. Bookmark the permalink.